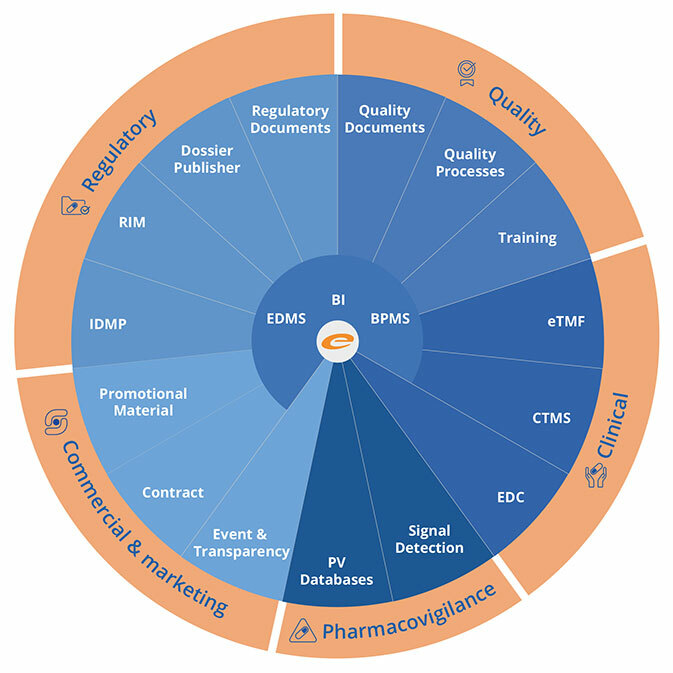 The Ennov 8 Compliance Platform is comprised of leading-edge Enterprise Document Management, Business Process Management, Learning Management and Business Intelligence software modules built specifically to meet the information management needs of pharmaceutical, biotechnology, medical device, animal health and other highly regulated companies. 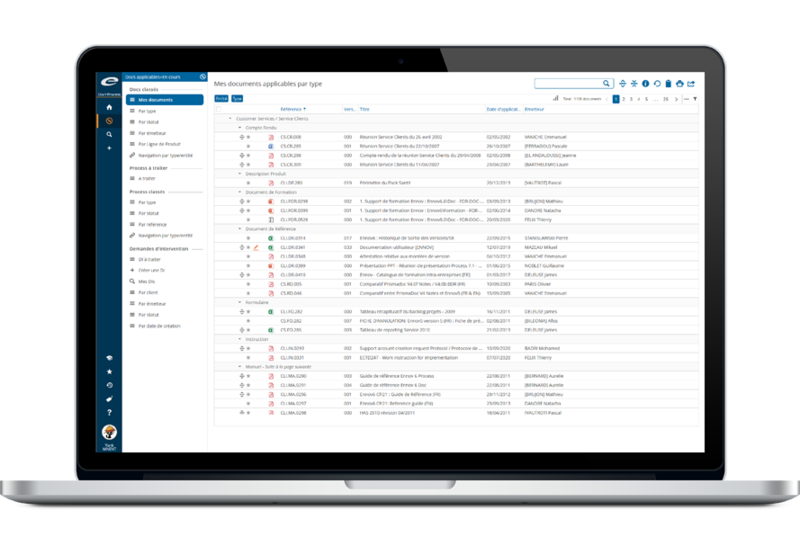 The Ennov 8 Compliance Platform is the basis for all Ennov’s Regulatory and Quality applications, as well as Ennov’s eTMF and CTMS. Applications such as QMS, RIM and Submission Publishing, are natively integrated into the platform resulting is significant cost savings and increased user adoption. Collaboratively edit documents through Ennov Doc’s integration of Microsoft Office 365 and Google Drive. Work simultaneously on the same document in real time rather than constantly checking documents in and out. Once documents are written, they follow the standardl document life cycle and are managed within Ennov Doc to ensure traceability and controlled distribution. 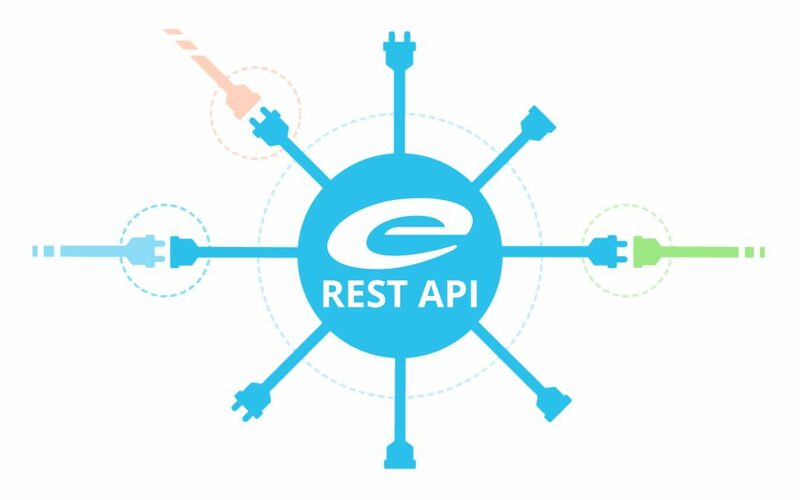 Ennov’s Compliance Platform products are completely open to integration with third party applications thanks to Ennov’s REST API, giving you the flexibility needed to meet your automation goals. 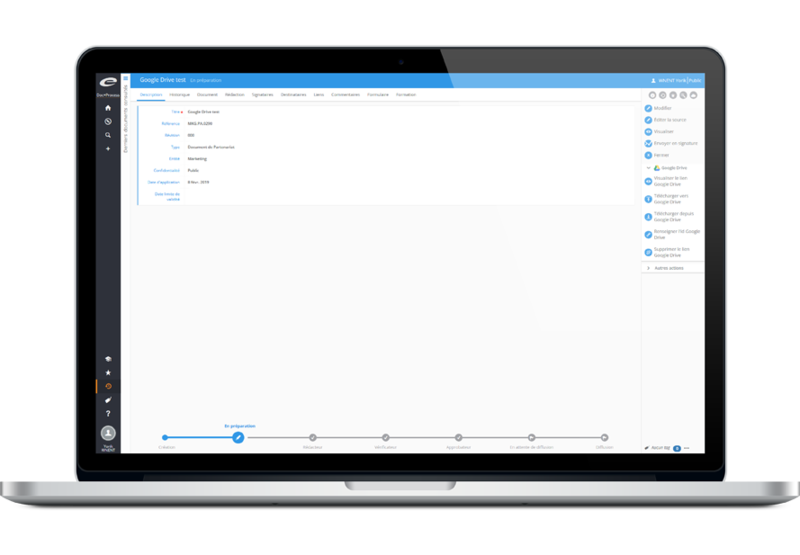 Extend the capabilities of your enterprise systems to include the full functionality of Ennov. 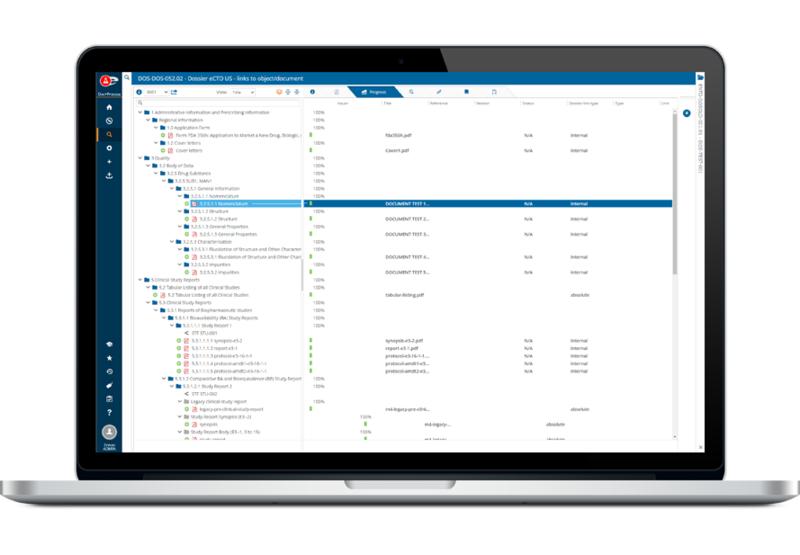 Third party applications can read, search, modify, and create documents or workflows in Ennov, leveraging the power of the Ennov platform. This web API can be called from any programming environment or application platform. Ennov Dossier provides the ability to build, manage, publish and archive PDF publications using the native capabilities found within Ennov Doc. This eliminates the fragmented and inefficient processes of locating, copying and uploading the documents that you need for your publications – providing a harmonized and seamless dossier publishing solution. A simple drag-and-drop interface allows publishers to link documents into publication assemblies quickly and easily. Ennov Dossier produces Regulatory Submission output that is compliant with all current health authority requirements including CTD, eCTD NeeS, vNeeS and eCopy. 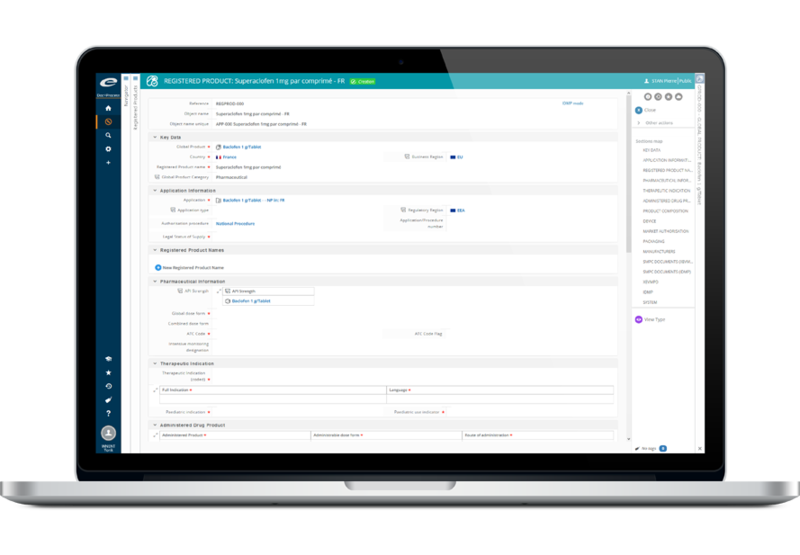 Ennov RIM is a purpose-built application (based on Ennov Process) for the management and tracking of therapuetic product details and registration information. Whether you are planning the launch of a new product or handling variations to existing registrations, Ennov RIM provides Regulatory personnel with the key information and functionality to effectively manage your product portfolios worldwide. The 100% web-based solution includes an intuitive and configurable user interface, Regulatory task management, e-mail notification capabilities and correspondence and commitment tracking functions. Ennov RIM is IDMP ready and supports the EMA SPOR controlled vocabularies.